Today I’m sharing my strategies for taking nutritional supplements in an easy, organized way, and helping ensure you take them daily. I don’t like the word “compliance” because it implies doctor’s orders. Consider my ideas “hacks” instead, for establishing a daily routine. My goal is making your daily supplement routine simpler. That is, a hassle free, “no brainer” routine that guarantees you take the vitamins, minerals, essential fats, and other supplements you need. At least the most important ones. Getting out of the house with a good breakfast is hard enough. 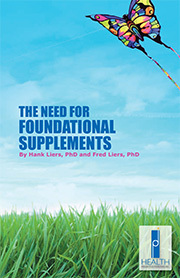 Nutritional supplements have a way of being forgotten first. That is, unless and until you have a system: a set of strategies for success to ensure a daily routine. I’ve been working on my “system” for 30 years. It works for me and many others I’ve shared it with. So I’m sharing it with you. But you don’t need to adopt my system or strategies. Watch the video, take what you like, and make it your own. Craft a system that works for you. My idea is to inspire and show you it’s possible to dummy proof your supplement regimen to never “miss a dose”—or almost never. No matter how busy you are, how rushed you feel, or how often you tend to forget things. You can do this. One of the most important things to consider when establishing or creating a regimen for taking supplements is to make sure your supplements are visible. That is, not hidden in a place that allows you to forget to take them. Like the bathroom. Or your garage. Bad places for supplements in general, unless you’re storing them for future use, or want them to expire. Making your supplements visible means putting them in a place where you can see them. Get them out of your bathroom or closet and put them in your kitchen area where you will remember to take them. Recall that nutritional supplements are “food supplements,” right? The kitchen is best for ensuring you take your supplements. If your kitchen can’t be home to your supplements, then other visible places might include the dining area (or where you eat) or possibly your pantry (or where you keep foods). The top of the refrigerator is surely an unused shelf space you cannot miss. Another option is keeping visible the primary supplements you take, such as multivitamins, Vitamin C, essential fats, or other high-priority supplements. Then keep less important supplements available, but not in a way that clutters counters or other spaces. By prioritizing this way, you at least ensure the visibility of your most important supplements. The main thing: If you can see your supplements, you are far more likely to take them, and maintain your daily routine. The kitchen is an ideal place. Because if you can’t see them, you won’t take them. After your nutritional supplements are in your kitchen or in an easily accessible—and hopefully prominent place, then consider organizing them. And noted, I often suggest using the top of the refrigerator since they won’t take up counter space, yet remain visible. Other strategies for organizing and saving space are using small shelves or rotating stands, like lazy susans, as shown in the video above. Or a small basket. If you must put your supplements away, such as inside a cabinet to save space or for aesthetic reasons, then try to use a kitchen cabinet that is central and easily accessible. And if you use a shelf, lazy susan, or basket, then set it up so you can easily reach the shelf or grab the basket. The main thing: Keep supplements organized for quick and easy access. This smooths the process for actually taking them. You will be glad you did. Your body and mind will thank you. Your supplements are visible and organized. Now what? Containerize. The system I use—and demonstrate in the video—relies on small pyrex cups. You can also you small bowls or paper cups, or any small containers you like. I use one cup per dose, and I usually break up my supplements into two doses per day (morning and early evening), so I use two cups per day. I like pyrex cups because they stack neatly and don’t take up much counter space. They are portable, so you can pick up a cup (one dose) and carry it with you. After your doses are prepared, set them out in a place where you will see them—like the kitchen counter or dining room table. Somewhere where you are most likely not to forget them. The main thing: Divide your supplements into daily doses or sub-doses you can take when you’re ready. It’s much easier to take them when your doses are made in advance. You will win medals from the Supplement Compliance Club. 4. BAGS FOR TRAVEL: BAG ‘EM UP! After your doses are set out for a day or two—or an entire week—they will be ready and waiting for you. 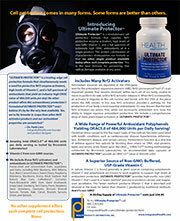 For people who work outside the home or who are traveling, transfer your supplements to portable containers. This might be snack bags (as in my video), but it could be a special box or baggie that holds individual doses. If I plan to travel or leave for work, I often bag my supplements and place them in my suitcase or car the night before. This ensures I don’t forget them. For travelers in a pinch, you can put all supplements for say, a week, in a single container, and then divide them up daily. That’s not my ideal, but I’ve seen it work for people who won’t containerize every dose before traveling. The main thing: Scientific studies prove that having your daily supplements pre-bagged improves your chances of taking them by 1000% when traveling. Pre-bagging makes getting your daily dose so easy, you can think about other things, like where you will go next. Maintain your supplement routine. Doggedly. A routine can take time to establish. After you get one started, stick to it like a bee on honey.